It’s easy to establish a regular yoga practice at home, but traveling can throw you off track, and fast. However, there’s good news for frequent travelers – yoga doesn’t require a fancy classroom or equipment which means it’s possible to maintain your yoga practice while traveling. There is no excuse not to continue your yoga practice on the road, and you might even find that you experience greater benefits from yoga when you do it away from home. Travel is tough on the body. Long plane rides do damage to our skin, changing time zones exhaust and confuse our bodies, and we aren’t sticking to our normal eating habits. But keeping up your usual yoga practice can help you to relieve stress and ease anxiety associated with traveling and leaving behind the creature comforts we’re grateful for at home. Always pack a pair of yoga pants – You’ll probably want a comfy pair of yoga pants for long plane or car rides anyway, so always pack a pair for practicing yoga on the go. Yoga pants are light, versatile, comfortable, and allow you to do yoga anywhere. Use your imagination – If you usually use yoga straps or cushions, get creative. A scarf can serve as a temporary strap, and a rolled-up blanket or pillow can serve as a meditation cushion for restorative poses. Don’t feel like you have to take all of your home equipment with you to practice yoga while traveling. Get creative and simplify your practice when you’re away from home. Yoga mats are light and easy to carry, but if you just don’t have the room then it’s ok to practice without one every once in a while. Don’t let it be an excuse for skipping yoga while you travel. If you prefer to do yoga with instructions from a teacher, play a video on YouTube or listen to a yoga podcast to guide you. There are plenty of virtual classes out there to guide you through your practice, or you can try out a new yoga studio in whatever city you find yourself in. If you travel frequently, have a go-to yoga routine noted down or committed to memory so that you can practice without guidance from a teacher. This will allow you to practice without putting too much thought or effort into your yoga practice when you’re tired or would rather be out exploring a new city. You shouldn’t let your yoga practice fall by the wayside just because you’re traveling, but you can allow yourself some freedom from your normal routine. It’s ok to have a shorter practice or switch up your routine if a new location inspires it so give yourself some freedom to do what feels right. Most of us let our schedules loosen up while traveling. It’s good to enjoy adventures all day long and a glass of wine during a relaxing vacation dinner, but these things can get in the way of your yoga practice. Instead, get your yoga out of the way first thing in the morning to help you feel accomplished, keep you calm all day, and guarantee that you fit it into your schedule. It’s difficult to avoid wearing a heavy winter coat by the time December and January approach. Especially if you’re heading to a yoga class in the early morning or late evening, you’re going to want a few extra layers of insulation to protect yourself from the chillier weather. Putting on the proper outerwear is an important means of taking care of your body during the winter. It can help keep you more comfortable, but it also prevents you from falling ill nearly as often during these colder months. Just because it’s better for your health doesn’t mean that you relish the idea of donning a winter coat though. Fortunately, your winter coat can be both fashionable and practical to wear with a great pair of yoga leggings. There’s an option available for every personal style and taste, so each yogi can be happy and comfortable this winter. A bomber jacket is a great option for yogis who tend to favor styles that look like they came straight from the streets. With a hip graphic t-shirt clearly visible from the front of an unbuttoned bomber jacket, you’ll be able to make a clear statement with your style. Search the shops for an option with silk or satin sleeves to allow you to play with some extra texture. Unfortunately, a bomber jacket isn’t likely to be the warmest option you can pair with yoga leggings. You can use this style tip if you live in a milder part of the world or as winter begins to fade into spring. Add a little fun fur into your winter wardrobe with a long parka that features a furry hood. Faux fur is relatively inexpensive and comes in a wide array of beautiful colors. You may want to consider looking for shades that will be very popular during the winter, like a deep burgundy or navy blue. Alternatively, you could purchase a natural shade of fur for a more traditional look. The coat itself is usually brown or khaki, depending on your preferences. The basic nature of a long parka allows you to continue wearing brightly-colored or patterned yoga leggings well into the winter months. Don’t underestimate the classic silhouette of a long-length wool duster coat. The length will hit just slightly past the backs of the knees, draping your body in luxuriously warm wool all over. This is an especially amazing option for yogis who live in the most frigid parts of the country. It protects both your top half and most of your exposed yoga leggings as well. Consider looking for duster coats with deep pockets to store your cellphone or hat and gloves. You may also want a version that ties around the waist to give you a more flattering shape with your yoga leggings. No matter how cold the winter air gets, you can stay warm and fashionable in your yoga leggings with one of these choices for the best coats this winter. A new trend is sweeping the yoga communities of the West: socks and gloves meant for use during practice. The practicality of these accessories isn’t necessarily obvious – why would one need extra padding on the hands and feet when the mat already provides grip? The first thing to recognize is that whether or not these accessories hold up to the hype really depends on the individual yogi and their specific practice. The main reason people enjoy these socks and gloves is for the added grip they provide. While many practitioners feel that their grip needs are taken care of by the mat, those who sweat more in general or partake in hot yoga may benefit from a little extra something. Tiny grip bumps on the bottom of the socks and gloves provide this extra security. There are other draws for having a bit more protection on your feet and hands. Yogis with circulation issues may appreciate the extra warmth provided by these accessories. Those with injuries or skin sensitivity may find this extra layer beneficial as well. While socks and gloves make sense for some, for others, they may not offer much more than style. It’s important to recognize which brands offer real benefits and which might be trying to sell people something they don’t need. For instance, some brands advertise that with yoga socks and gloves, there’s no need for a mat. They claim that these accessories can effectively replace the mat, offering a more portable option for carrying. Support and padding are so important for our joints and muscles when we practice. True, socks and gloves can provide this for our hands and feet, but what about those poses which require knees, thighs, elbows, and stomachs to touch the ground? Camel pose, locust pose, and child’s pose are just a few examples of instances where our bodies need more support. 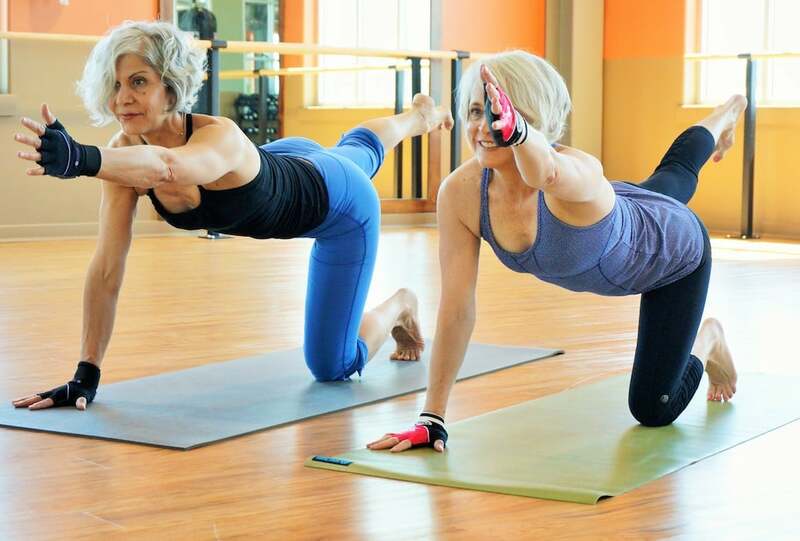 It is extremely hard for our bodies to do most poses without adequate padding, and practicing with only hand and foot padding is downright dangerous. Other complaints include: these accessories fit too tight and cut off circulation, and might cause you to slip around once you build up some sweat. Both of these are potentially dangerous as well – as any true yogi knows, a slip-up or a fall in yoga can do serious damage. 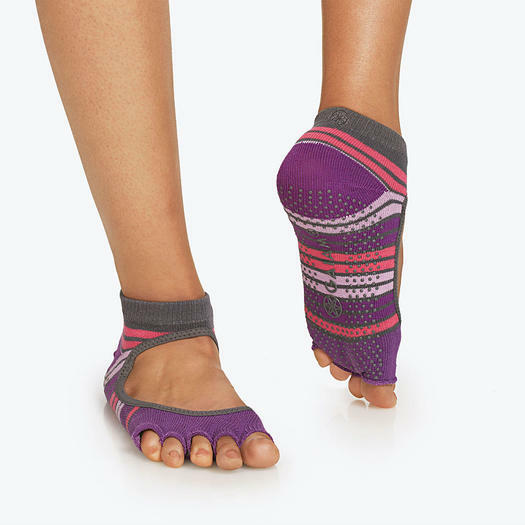 Ultimately, there are a variety of reasons why some yogis may enjoy and appreciate yoga gloves and socks. However, they should never be used in place of a mat. Yogis would do well to consider the unique needs of their bodies before investing in these accessories. Vitamins are organic compounds needed in trace amounts by the body, but are still extremely essential for the normal functioning of an organism. So how are these essential elements related to the health of our hair? It has been shown that vitamins play an important role in maintaining our skin, nails and hair. It is said that the health of skin and hair is the mirror to the health of the inner body. Healthy hair and glowing skin indicate a healthy internal system which is getting everything that’s important for good functioning and countering diseases. Similarly, dry, fatigued skin or falling, brittle hair indicates that something within the body is not right. The role of nutrition in the preservation of healthy hair cannot be over emphasized. Hair itself is dead tissue, but it sprouts from the scalp. Hence, the health of the scalp is equal to the health of the hair itself. The health of hair is not only adversely effected by deficiencies but also by medical conditions, smoking and trauma among others. Therefore, consuming a diet that aids in supplementing hair growth and sustenance of healthy hair is vital. There are many vitamins which are essential for healthy hair. Most importantly, these include vitamin D, Biotin, Vitamin b12, Vitamin C, Vitamin A, Vitamin E, Iron and Niacin. A deficiency of these vitamins has been directly shown to cause hair to get brittle, leading to it falling out. Some hair care products now include vitamins like Biotin to promote healthier hair. One can use these to provide nourishment to their hair by massaging or applying them as directed. However, it remains imperative to consume these as part of the diet. Some of the best sources of vitamins that are important for hair are fresh leafy green vegetables, and several fruits such as oranges, strawberries, and pineapples. Therefore, the role of vitamins to maintain a healthy lifestyle which in turn leads to a number of health benefits, including healthy, glossy hair which is not easily prone to falling, should not be overlooked. One must include foods such as fruits and vegetables in their diet in order to achieve health goals that lead to healthy skin, hair, nails and the body as a whole. Check out this popular video by Sarah Nagel who gives tips on healthy hair.